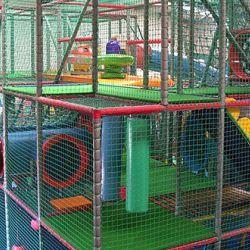 Planet Play has a huge 3 tier play frame with aerial runways, giant tube slides, black hole spook room, punch bags, rope bridges, squeeze rollers, crawl tubes, scramble nets, separate soft play area for under 2's and construction zone. 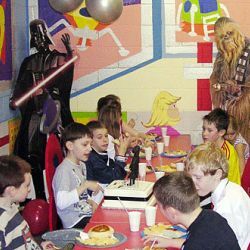 Enjoy your meal & games away from the crowds - Planet Play has 2 separate themed party rooms so you can enjoy your meal and games away from the crowds. Food & drink at incredible prices - we have a fantastic selection of hot and cold snacks and meals. 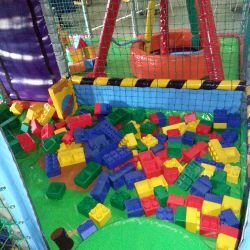 Planet Play is Rochdale's premier Children's Indoor Play Centre with Soft Play Areas, Ball Pools, Slides, Scrambles, Bridges, Ball Guns, Alien Spook Room and much more. Planet Play has three separate Children's Soft Play Areas for Toddlers, Infants and Juniors. With over 1200 cubic metres of play space, Planet Play is the ideal venue for a Birthday Party or any celebration. Take the kids to Planet Play and enjoy maximum fun, minimum stress!! 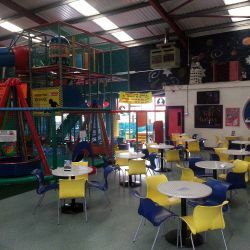 Planet Play is one of the largest and most established Indoor Play Centres in the area, operating since 1997 it has become the premier venue for children's parties. With two separate party rooms you can enjoy the privacy of your party away from the hubbub of the play area. With a choice of party packages available to suit every budget and various optional extras such as face painting and pass the parcel you can be sure of the perfect party event. Planet Play has a huge 3 level play frame with a host of exiting features such as the dark slide which snakes to a splash landing in a huge ball pool. The fantastic air powered ball-cannons where you can shoot balls over your friends' heads at space targets. The scary spook room, lurking with aliens, is a must for any intrepid space explorer. Parents are equally well catered for with a superb range of coffees and a reasonably priced café menu that is undoubtedly one of the best of any play facility in the region. FREE Wifi access is available for those who wish to work or surf whilst the kids play. Open 7 days a week, with special after school meal deals, Planet Play is ideal for party fun or just a great place to burn off your child's excess energy in a safe clean and fun environment.